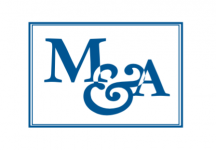 Matthews & Associates has been serving the Garner area for 17 years. We take pride in providing the most innovative care and support to individuals and small businesses, with a personal touch not found in many larger firms. Matthews & Associates offers a range of cost effective services and is able to focus on the unique needs of each client. Most of our business comes in the way of referrals, and we consider that to be quite an accomplishment. We take pride in knowing that the personal guidance you receive from us is enhanced by our investment in ourselves through continuing education, expanding our resources and financial expertise.